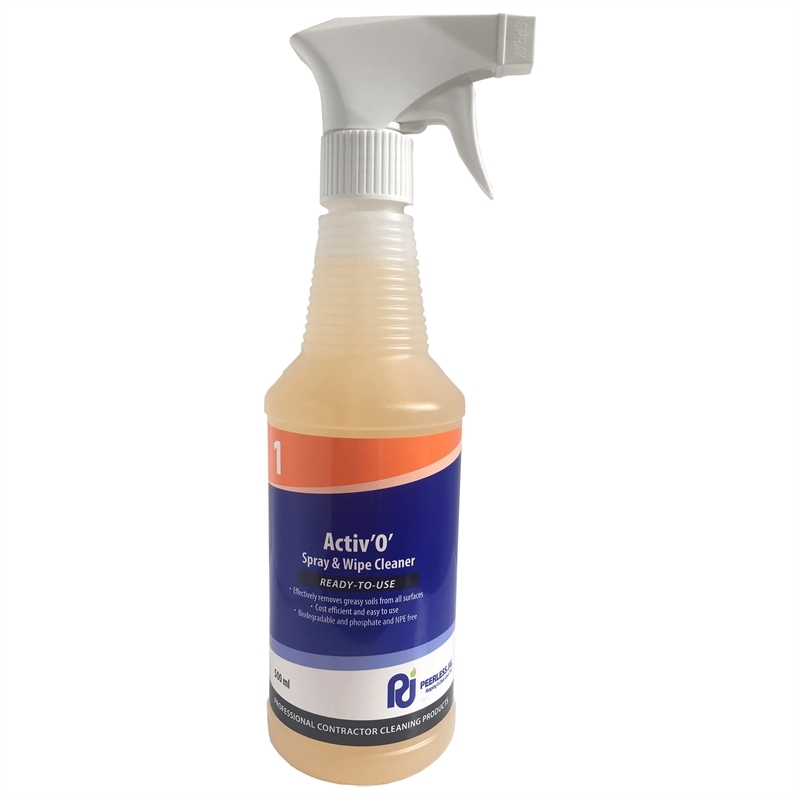 Activ O is an all purpose surface spray and wipe cleaner. Use on walls, woodwork, plastic, laminates and vinyl upholstery. Removes oil and greasy dirt, soot, smoke stains and body fats. Always try product in an inconspicuous area when not sure. Avoid contact with skin and eyes. Wear suitable gloves and eye protection when using product.